Team Barbados Rio 2016: Burkheart Ellis Jr. (200m) – Barbados Olympic Association Inc.
Burkheart got started in athletics in the early 2000’s at the Roland Edwards Primary. He credits his mother for being the one who encouraged him to compete. He completed high school in the USA and earned a track scholarship to St. Augustine’s University in North Carolina. 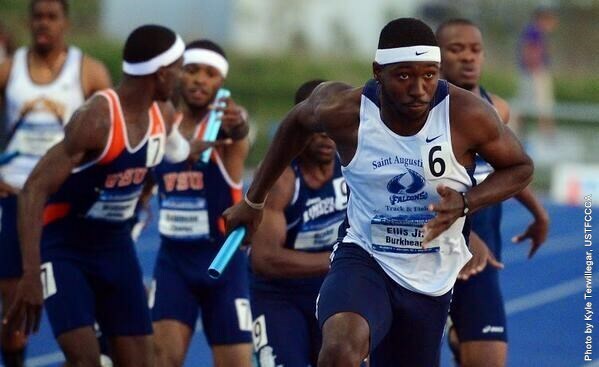 Ellis Jr. achieved his qualifying time for the 200m at Rio 2016 at the NCAA Division II Finals where he clocked 20.46. Burkheart’s role models are Tyson Gay and his mom. His favourite color is red and he relaxes to rap, and reggae music. His all time favourite movie is Captain America: Civil War.